Jordan and I first met at a pop-up back in the days of Normandy Shop. A small cutting board made from walnut and African padauk gleamed irresistibly from his table. I bought it without hesitating. Years later, Jordan is working solo (his business partner, Brett, became too busy with school and they parted ways amicably) in a proper woodshop just across the road from his home. And now Jordan not only crafts cutting boards, but custom furniture: built using a mix of salvaged and ethically sourced wood. As I walk through the door on the day of our interview, he’s busy oiling a newly purchased and gently loved jointer he got off a man looking to unload some expertly crafted European woodworking tools. 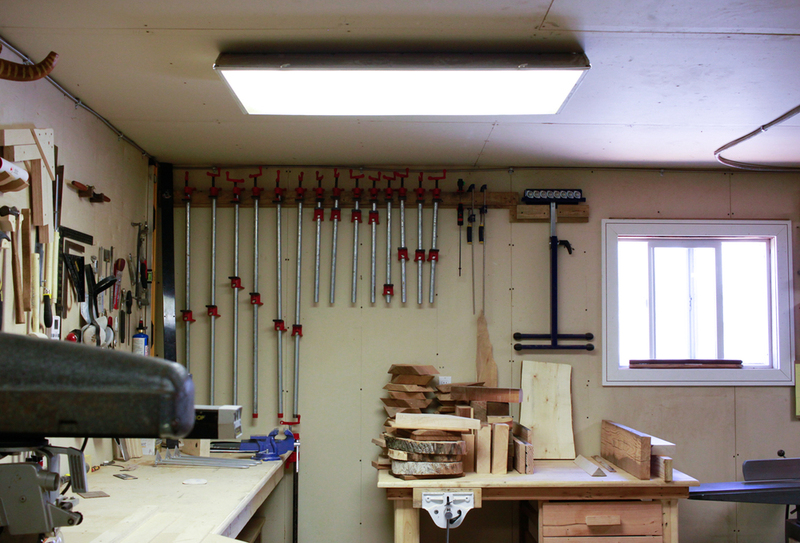 The small shop is crowded with neatly organized and meticulously cleaned tools and wood cuttings. FULL: How did you get started with BeardBrothers? Jordan Elias: I worked in construction first. I’ve been framing houses for quite a while. Then I got into finishing work the last couple of years. BeardBrothers started off as a side project that Brett and I worked on alongside our jobs. I enjoyed doing both. But it started getting busier, so I decided to leave my full-time work. In the meantime, Brett was going through school and needed to be able to continue. There was never a falling out, just a recognition that he couldn’t keep up with it full time. I started out with the cutting boards because of lack of space and the fact that they’re fairly easy to do. 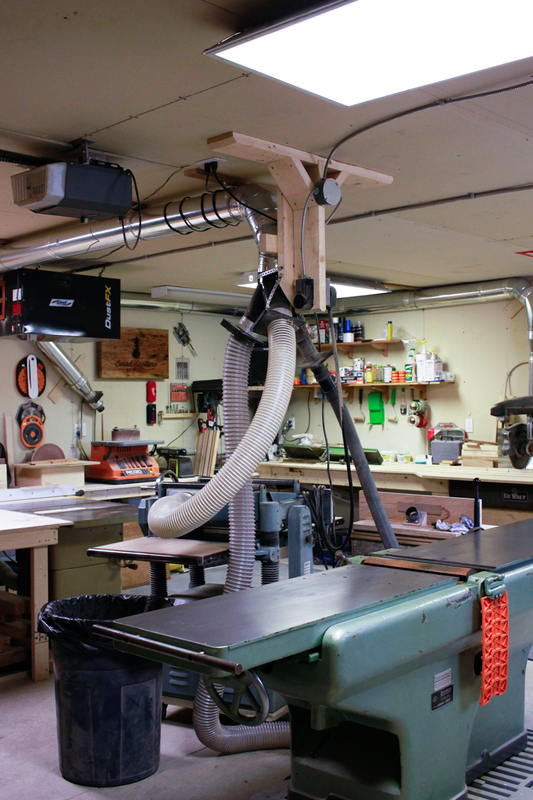 I wanted to get into furniture, but starting off, my dad only had a small workshop. At one point the entire basement was just full of lumber. I used to work for the guy who owns the land this shop is on. Now I live across the street. As you can tell, I’m starting to get a little cramped in here, but I can sacrifice space for convenience. FULL: Do you see yourself moving to a bigger space eventually? JE: The barn on this property is next to falling over, so that could be switched out to build a big shop. However, I am thinking about moving back to B.C. I’m having trouble committing to making plans for a big shop here. Being able to have space is the biggest thing. I’ve talked to so many people who work on their projects from home, but once you can have a full space to work in, that takes things to the next level. FULL: I’ve also heard people talk about the blessing and the curse of the home-studio. With that comes the ability to always be working. You can get an idea in the middle of the night and be haunted by it. And it can be hard to balance work with life. JE: And I don’t know how many times I’ve been here until one in the morning, thinking about how I should probably be in bed. FULL: I know another reason people like the studio workspace is the community aspect. Do you work alone here? JE: Yeah. There’s a huge shared makers space over on Adelaide Street with a wood and full metal shop, 3D printers, lasers, all of this. A friend of mine had a membership. Working there you’re surrounded by engineers and architects and designers. If you don’t know something, you just turn to the person next to you and he’s an expert in that area. For me, working here, if I don’t know how to do something, I have to Google it. It’s helpful, but it’s not the same. FULL: Working on something on your own is exciting, because you have full creative control. But then you also have to do things the hard way almost every time. JE: And I come from a background in framing houses, where you build everything according to the plan. If you don’t know what to do, you look at the plan. And working here, I can ask myself, “How does this go?” And the only answer is, “However you want.” There are very rarely plans. People tell me what they want and ask if I can do it. And I just say, “Sure.” and figure out. It’s good and bad. FULL: Where do you get your materials? JE: So many places. It’s a mix of salvaged wood that finds its way here through people I know and lumber from suppliers. When I’m doing cutting boards or fine furniture, most of my stuff comes through a lumber distributor. But I’ve also gotten timber from someone who was taking down a grain elevator, found me through Instagram, and offered me the wood. It comes from all over. FULL: What are your favourite woods to work with? 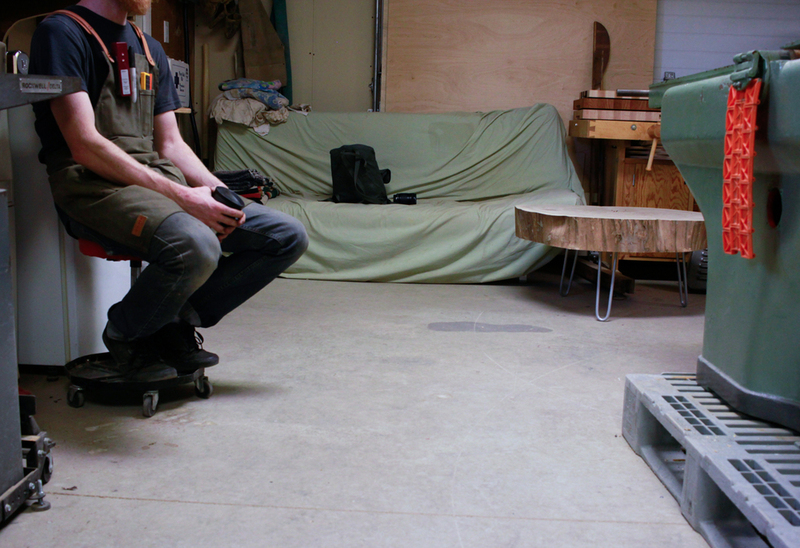 JE: When I started off, I mostly went into Windsor Plywood in search of the coolest wood I could find. 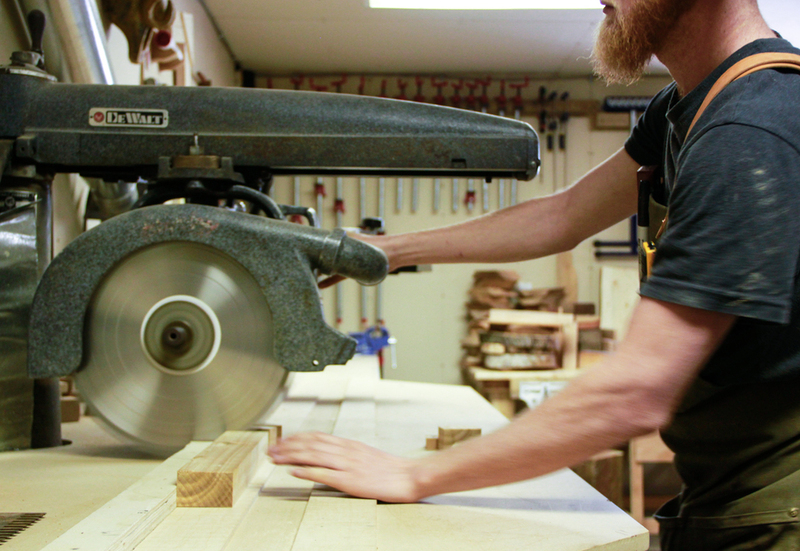 Brett and I made a number of cutting boards with exotic woods, and it was a lot of fun. Now I try to get my woods through a few mills in the States, so I know where all the wood comes from and can trace it back to make sure it’s harvested responsibly. It can be hard to do those kinds of checks with exotic woods. I don’t want to cut down a crazy tree that shouldn’t be touched just to make a table. So I stick to domestics now, like cherry, walnut and maple. Most of the salvaged stuff out of Manitoba is fir, super old Douglas fir, which probably came from the west coast long, long ago. I come from working in framing, where everything is new and you can frame an entire house in a few days. And now I’m spending two weeks on a single cabinet. I used to be part of that mentality of ripping down an old house and putting up something new because it was faster. But this kind of work has given me more appreciation for old styles and trying to conserve those old ways of doing things. It’s interesting too, to see the history of this kind of stuff. My girlfriend’s a forestry degree graduate, and she counted one hundred and eighty growth rings in the wood that we salvaged from a grain elevator that stood for eighty nine years, so to think that this tree was growing three hundred years ago before Canada was even a country is crazy to me. And when this elevator was torn down, the guy’s grandfather or great grandfather was on the board that built it. There was an article with a photo from when they built it, thirty guys and a bunch of Clydesdale horses, and the great grandson took one tractor, an excavator, and tore it down by himself. The article had the pictures side by side, him with his excavator and his great grandfather with thirty other men and the horses. I thought that was cool. When it was torn down, I asked my girlfriend Sarah to come watch it happen. We arrived just as it crashed down, and there were a few hundred people gathered around, some of them in tears. It was the centre of their community. That’s where they brought their crops and were paid for them. Brent Russell, the guy who took it down, made a bunch of tables for clients who wanted a bit of that history in their homes. It’s fun to work with wood that has a story like that. 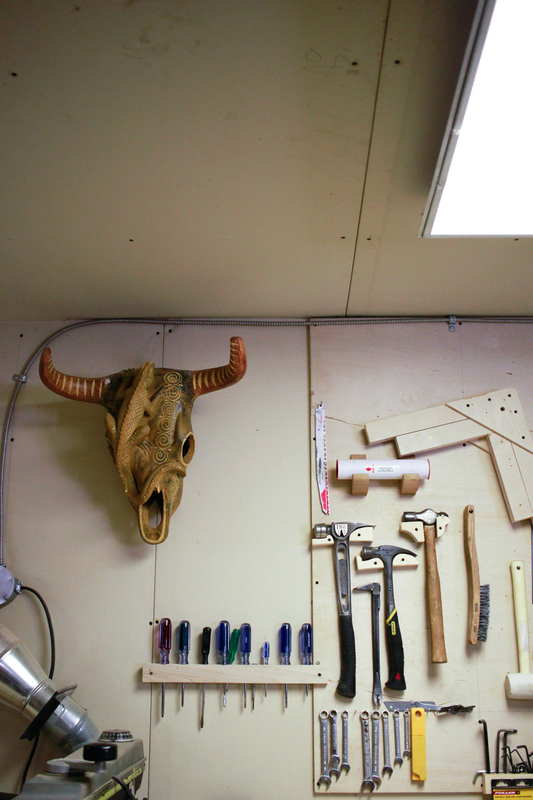 FULL: A lot of people who get into trades like woodworking come to it through their families. How were you introduced to woodworking? JE: My brother started framing and got me into it when I was fifteen. He moved out to Calgary, and I did some framing for him out there. It was a good summer job and I could make more there than I could here. To me, framing became repetitive. I like doing all of the steps. I like to be able to start a house, but also put the trim on and finish it off. My dad was one of those dads who would fix everything. He would never buy anything new, he would just find a way to fix it. With furniture now, there are certain kinds that cannot be fixed. It’s not designed to be passed down to your kids. That’s the kind of stuff I’m trying to stay away from. FULL: Disposable culture is a tricky thing, because when it comes to affording a good piece of furniture or a nice cutting board, there’s a certain amount of class that plays into that. But at the same time, it used to be that people spent a larger percentage of their income on those things, they just only bought it once. JE: Exactly, when people say that they can’t afford my work, I feel like there are a lot of people who probably can, they just can’t keep buying and buying the way you might with something like Ikea furniture. A lot of this stuff is designed to be disposable, and then the trends change, so you just buy something new. There are pieces that go out of style pretty quick, but there’s also timeless furniture that will look good for a long time. More recently I’ve seen a lot of the kind of work I do on Instagram or all over the web. It feels like there are makers everywhere. And I’ve also seen more established woodworkers make disparaging remarks about people who throw slabs of wood on steel frames and call themselves a maker. And there are people who agree, and then others who say, “I’m just doing the best I can with what I can to make some money. Everyone’s got to start somewhere.” And I feel both ways about that. I look at well-established companies and I don’t feel like they have any reason to be threatened by me working in my garage making three pieces a month. 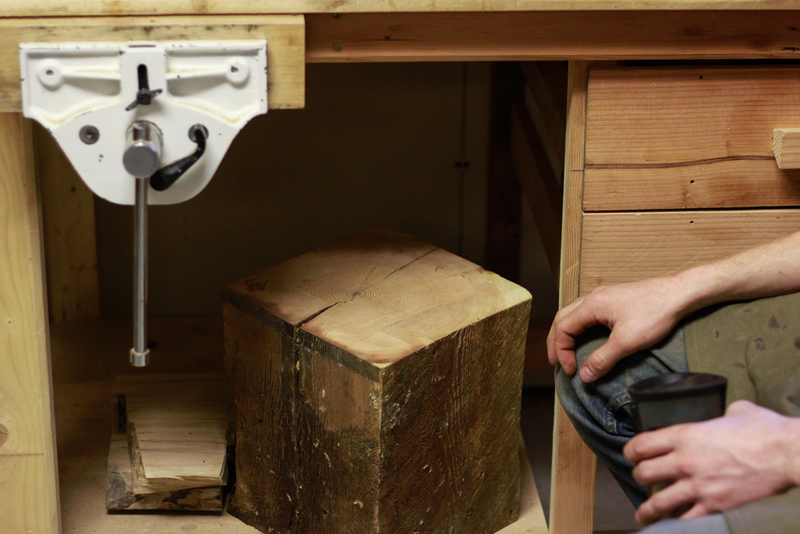 FULL: Hopefully too what comes out of this maker’s movement is a better sense of community. People feel connected to the things that they use and the people who made them. JE: And there are a lot of opportunities for makers to develop communities too, especially in a small city like Winnipeg. 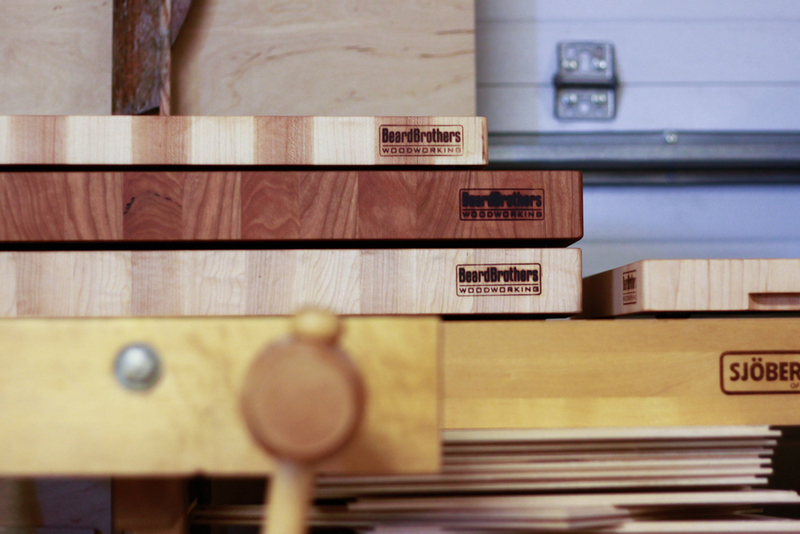 You can see more of Jordan's work on the BeardBrothers WoodWorking website.